Southeastern MA Amateur Radio Association members plan to staff the club’s station, W1AEC and operate in Skywarn Recognition Day on December 3, 2005. “I plan to be at the club on Saturday morning about 10 a.m. and remain until the last person leaves or has had enough fun,” writes Ron Silvia, WB1HGA. Silvia says there will be two stations available for folks to operate. Plans call for both SSB and Morse code operation at W1AEC. “This year I am adding something different: PSK 31 will be available for use during this event. I will bring my HF station set up for this mode. So depending on what goes, we may have as many as 3 stations running!” WB1HGA adds. Members of the Nashoba Valley ARC sorted their way through thousands of W1 QSL cards at NVARC’s October club meeting. In all, 17,000 cards were pre-sorted in just two hours. The cards were arranged into piles according to the first letter of the call sign suffix. They were then repackaged for delivery back to the W1-bureau, for final sorting by various volunteers across New England. Volunteers included: KB1JKL, KB1HDO, K1LGQ, WA1TAC, W1JMM, W1XP, KB1ESR, AB1DS, KB1LZH, KB1MBR, KD1SM, K1LK, KD1LE, W1ZBT, N1SV, and K1NKR. SKYWARN Recognition Day 2005 begins Friday December 2nd at 7 PM and ends on Saturday December 3rd at 7 PM. NWS Taunton, WX1BOX, will be on the air from 7 PM-12 AM on Friday Night and from 7 AM-7 PM Saturday. The *WX_TALK*, EchoLink Conference Server Node# 7203/IRLP Reflector 9219 will be utilized between 11 AM-Noon EST (1600-1700 UTC) by WX4NC-NWS Raleigh, North Carolina and WX4NHC, the National Hurricane Center in Miami, Florida will utilize the system from 4-6 PM EST (2100-2300 UTC). NWS Taunton will most likely be on this system during at least a couple of timeframes. We will also utilize the New England Network (*NEW-ENG* EchoLink Node#: 9123/IRLP Reflector 9058) for most if not all of this timeframe so that people can have access to us on that system or via WX-TALK/IRLP Reflector 9219. Further details will follow in a subsequent update or two as SKYWARN Recognition Day draws closer. In addition, Amateur Radio will be active for SKYWARN Recognition Day from the Blue Hill Observatory under call-sign W1BOS/MQE. [See BARC To Operate In SKYWARN Recognition Day.] This station is being sponsored by the Boston Amateur Radio Club (BARC) and will be on the air on 2 Meters and 20 Meters. Further details will be posted as received and a web site link is posted with further information as its own topic later in this newsletter. The following is a tentative schedule that will be followed over the course of the SKYWARN Recognition Day event. It is hoped to make contact with many of the hardworking SKYWARN Spotters from across the NWS Taunton County Warning Area and around the country to thank them for their support of the SKYWARN program. Some forecasters from NWS Taunton have volunteered to go on the air and either give announcements or speak to certain spotters directly. Below is a schedule that we will be on for 2 Meter/440 Repeaters that we will attempt access during the course of SKYWARN Recognition Day. We will also be on at random on 6 Meters, 20 Meters, 40 Meters and 80 Meters. If time and band conditions allow, 10 and 15 Meters will be utilized. We will also be on VoIP full time utilizing the New England Network and the *WX-TALK*/9219 Reflector system as we work HF and VHF/UHF modes. If we are not on one system, please try the other system though we should have capability to monitor both systems simultaneously. The goal is to hit as many repeaters and networks within range of NWS Taunton at least once possibly twice where possible. Some SKYWARN repeaters such as repeaters in Southern New Hampshire and Northern Massachusetts are not reliably reachable from NWS or have other repeaters on those frequencies so they cannot be reached. We will also try Simplex 2 Meters at several points within the schedule as it will be a good test of our capabilities and a fun experiment to try during this event. The tentative schedule of where we will monitor is listed below. We look forward to this fun event and will hope that Mother Nature will not bring forth another large snowstorm like in 2003, which featured the biggest snowstorm of the 2003-2004 Winter. Thanks and we look forward to a fun event, another update will be posted either Thursday Night December 1st or Friday Morning December 2nd. An Eastern MA ARRL-affiliated club is promoting a unique social activity this holiday season. Members of the Police Amateur Radio Team of Westford plan to attend a Lowell Lock Monsters hockey game against the Providence Buins at the Tsongas Arena on December 3, 2005. “We currently have eleven people signed up for the game,” writes Charles Suprin, AA1VS. Suprin is attempting to recruit one more attendee to acheive a group ticket rate. “With the group package we will get PART’s name in lights on the Jumbotron,” he adds. Suprin requests that PART members interested in attending notify him by November 27. A North Dartmouth ham has received praise from the Minnesota-based Courage Center Handiham Program. Volunteer reader Bob Zeida, N1BLF has announced that he will retire from reading the FCC question pools beginning in 2006. Zeida, who is also a member of the Southeastern MA Amateur Radio Association, has read all of the current pools on behalf of Handiham members. He is a familiar voice to many blind amateurs studying for their Technician, General, and Extra Class licenses. According to Eastern MA Section Emergency Coordinator Rob Macedo, KD1CY, Pam Hickman from the Governor’s Office of External Relations telephoned Macedo yesterday. “Hickman stated the Governor’s Office would like to the ‘make the situation right,'” explained KD1CY. Macedo told Hickman that he and the ARRL/ARES leadership are seeking a “short visit” with the Governor so that they might “describe Amateur Radio and its benefits to the community.” KD1CY says he’d like to use the opportunity to push for an Amateur Radio proclamation during the June, 2006 timeframe, which coincides with the ARRL’s annual Field Day operating event. KD1CY expects to have a package consisting of ARES/ARRL pamphlets, sample articles from the ARES E-newsletters, a writeup on the Whittenton Pond Dam operation, and other relevant materials sent to Hickman no later than Friday. For the third year in a row, the Boston Amateur Radio Club will participate in Skywarn Recognition Day (SRD) at the Blue Hill Observatory in Milton, MA. We will be operating on Saturday December 3rd from 9:00 AM to 3:00 PM on both HF and VHF. SRD consists of Amateur Radio operators who set up at the National Weather Service (NWS) offices and other weather related locations and contact similar stations around the world. Many NWS Offices including NWS Taunton have permanently installed Amateur Radio equipment. Hams have assisted the National Weather Service by providing real-time reports of severe weather and storm conditions. We recently played a key role by providing communications during the hurricanes that affected the Gulf. Although the NWS operates a network of 120 Doppler radars to track severe storms, at greater ranges weather radar has a difficult time sampling conditions close to the ground. The information we provide plays a key role in aiding forecasters. Stations will exchange signal reports, location and a brief description of the current weather at their respective locations (“sunny,” “partly cloudy,” “windy,” etc). This is a great opportunity for members to operate the club’s Yaesu 897 and make some DX contacts. If you are interested in participating please, contact me directly at emgmgt@comcast.net. We are looking for assistance on Friday, December 2nd with setup, and operators on Saturday, December 3rd. The Harvard Wireless Club will operate in the ARRL November Sweepstakes (Phone) Contest November 19-21, competing for the Collegiate Championship Combined Trophy, according to HWC’s Clayton Nall, AA9RB. “Participation by other clubs was light on the CW side this year, so we should have a very good shot at capturing at least third place in the combined event, regardless of the number of schools that come out for the phone portion,” writes Nall. AA9RB is recruiting HWC operators for multiple shifts between 4 p.m. Saturday and 10 p.m. Sunday. “We’ll be operating with a check of ’12’–this seems to require fewer repeats than ’09,'” he adds. The Cape Cod ARES will present an all-day technical workshop on Saturday, November 19, 2005 from 9 a.m. to 4 p.m. The workshop will be hosted by the Town of Sandwich at the Elder Services building. The workshop will consist of several topics: Personal Safety, Emergency Power Systems, Emergency Antennas I, Emergency Antennas II and Expedient Mounts, Expedient Masting and NVIS antennas, “Go-Kits” and Logistical transport. Cape Cod ARES All Day Technical Workshop Saturday November 19th!! The Cape Cod ARES will present an all day technical workshop on Saturday November 19th from 9am to 4pm. It is provided free to all emcomm enthusiasts. The workshop will be hosted by the Town of Sandwich at their Elder Services building. This will be a technical only workshop consisting of several modules dealing with emergency communications response. This will be a workshop to give you a good background in the technical and hardware aspects of emcomm. We will go over the many hours of R&D by CCARES on expedient equipment. We will also concentrate heavily on personal safety. We hope this workshop will benefit those attending by passing on the experience and development by our field operators. Lunch will not be provided at the facility, but we will give out a list and map to nearby restaurants. You are also free to bring your own lunch if you desire. There will be coffee available in the morning at no charge. We will be pre-registering participants for the workshop. Walk-in space will likely also be available. Please pre-register by email at the email address listed below. Many subtopics will be covered under each module of the primary topics. We look forward to presenting the workshop to all interested Emcomm enthusiasts. We also wish to thank the Town of Sandwich for graciously hosting this event! From the North: Take Rt 3 south across the Sagamore Bridge on to the Rt 6 mid Cape highway. Get off at exit 3 and proceed right onto Quaker Meetinghouse rd. Turn left into the Oak Ridge School entrance. Turn left into the Elder Services building Driveway. From the Northwest: Take Rt 495 to Rt 25, proceed South to and over the Bourne Bridge. Take the Rt6 Alt East to Rt 6 Mid Cape Highway. Get off at exit 3 and proceed right onto Quaker Meetinghouse rd. Turn left into the Oak Ridge School entrance. Turn left into the Elder Services building Driveway. From the West: Take Rt 195 East to Rt 25. Proceed South to and over the Bourne Bridge. Take the Rt6 Alt East to Rt 6 Mid Cape Highway. Get off at exit 3 and proceed right onto Quaker Meetinghouse rd. Turn left into the Oak Ridge School entrance. Turn left into the Elder Services building Driveway. FARA is having their 7th Annual Fest and Fleamarket tomorrow down at the KOC Hall in Falmouth. Doors open to vendors at 7AM and to the general public at 9AM. Indoor spaces available and if the weather holds up looks like tailgating outside too. VE exams, raffles, food, free parking and no admission fee…who could ask for more? VE registrations accepted up until 9AM tomorrow. Talk-in: 146.655 MHz (-600 KHz) and 444.250 (+5 MHz pl: 141.3). Thank for the reminder gentlemen, but I am sorry to say there is a $3.00 admission fee for the public and it’s $9.00 per table for sellers. Wish we had your budget guys have (Hi Hi!). Everyone is welcome and please feel free to stop by. We have a large number of reregistered tables, so it looks like its going to be a great turnout! Plenty of parking and plenty of outdoor space too, as the weather is supposed to be great! N1DT and K1VV plan to activate Ida Lewis Lighthouse (a.k.a. Lime Rock Lighthouse) (ARLHS USA 398) under the call W1AA on Saturday November 12, 2005 from 12:30 UTC (7:30 AM EST) until 19:00 UTC (2:00 PM EST). “We will operate on 40 and 20 meters, on 7035.0 14035.0 CW, and 7270.0 14270.0 on SSB. The frequencies are plus or minus QRM. CW will be on the half hour,” writes Robert “Whitey” Doherty, K1VV. Doherty notes that they’ll have a packet station in the truck and can spot themselves on the worldwide DX packet cluster. “We would appreciate spots on the ARLHS reflector,” he adds. DX QSLs are via the W1 Bureau and stateside are via W1AA please with an SASE. A color photo QSL of the lightship will be furnished. The October, 2005 EMA traffic net and Public Service Honor Roll totals have been posted to http://nts.ema.arrl.org under “Main Menu | STM Monthly Report“. A reminder that the monthly ARES Net for November is rapidly approaching. The monthly ARES Net for October is Monday November 7th, 2005, at 8:30 PM on the MMRA Repeater system. This is after the RACES Nets earlier in the evening. Make tonight, “Emergency Communications Night” and check into your local RACES Net and then check into the ARES Net on the MMRA Repeater System. We look forward to your participation and remember, we are always looking for Net Controls to run the ARES Net. N1DT and K1VV plan to activate Sakonnet Lighthouse (ARLHS USA 718) under the call W1AA on Saturday, November 5, 2005 from 11:30 UTC (7:30 AM EST) until 19:00 UTC (2:00 PM EST). Located on Little Cormorant Rock in the Sakonnet River, Little Compton, Rhode Island, the light house was built in 1884. Operation was discontinued in 1995, and the facility was relighted 1997. The W1AA operation will take place from Sakonnet Point. Roving Power Outages In Eastern MA? A winter of weather extremes with several unusually strong nor’easters as caused significant issues to the power grid in the Northeast United States. These storms along with the fact that the grid has been damaged have led to roving power outages across the section that in this situation cascaded into widespread power outages across the region. Power may not be restored for a 24-48 hour period. The long period of time in restoring power is being caused by the extent of damage to the grid and the fact that a contagious illness has caused enough sickness within the region that utility companies do not have the resources to fix the issue in a more timely fashion and are unable to draw upon resources from other regions to fix the issues for fear of the contagious illness. Local ARES team coordination and deployment as well as local NTS and tactical message handling. Intra district and interdistrict tactical and formal message handling. Utilization of HF, VHF, UHF, Packet, IRLP and EchoLink modes of communication. This includes utilization of SKYWARN frequencies as required to fill the gap of local ARES frequencies and SKYWARN frequencies. Utilization of EOC or Simulated EOC’s at various points across the section and interfacing with other EOC’s, Simulated EOC’s in other sections where appropriate. Utilization of the New England Network integrated conference server, which is the EchoLink *NEW-ENG* conference node and IRLP Reflector 9058 as a command net for communications within the section and outside the section. For this exercise, it is expected that all ARES DEC’s/EC’s, or their designee will support this drill and what is to be exercised. Those SKYWARN liaisons that also perform ARES/RACES are also asked to participate. As always, at the local level, message handling and formation is critical and keeping Hams at the local level busy must occur. Be creative and at the same time be realistic. The Eastern Massachusetts ARES leadership will inject message traffic into the system in an attempt to get responses from those participating. This is in the hopes to generate more traffic and release the burden from the individual Amateur to have to create a message on their own. Instead, they will be expected to be able to respond to traffic that is sent to them. Net Controls are asked to use their discretion in doing call-ups and to be prepared for the ARES leadership to pass traffic of tactical and formal nature to each net. Amateurs are asked to then build tactical messages and formal messages in response to this traffic as required. For this drill, the Eastern Massachusetts ARES SEC will be located at the Southeast Massachusetts Amateur Radio Association Club in South Dartmouth Massachusetts, performing his duties as ARES SEC and other duties to support operations as required. The exercise will be controlled and walked through the scenario by the SM, SEC, and DEC’s or the staff will assign a designee to walk through the scenario on the air. This will be done through a series of tactical message announcements. Also, as stated previously, the staff will be injecting NTS traffic messages along with tactical message announcements on the air in an attempt to get responses from people on the air. This will make it easier to have more message traffic during the course of the exercise and should allow for easier play by those participating. · Have all teams have one liaison that monitors their local RACES Repeater in addition to their local operations. · ARES teams willing to deploy away teams are asked to do so where possible provided benign weather conditions on the drill date. o IRLP and/or EchoLink nodes. o Utilizing the integrated EchoLink *NEW-ENG* Conference Node (Node #9123) and IRLP reflector 9058 as a command net for contact with the Eastern Massachusetts section and surrounding areas. o Utilizing Various 2 Meter Repeaters that the ARES teams will be utilizing in the area when necessary. o Utilizing SKYWARN frequencies as an additional backbone as needed to ARES and RACES infrastructure. o Utilize RACES frequencies where active for support in the drill along with local ARES and SKYWARN frequencies. · Establish contact with other ARES districts and EOC’s/Simulated EOC via HF (3943 and/or 7245 KHz depending on band conditions). · Test and evaluate the range of Home stations for relay operations. · Amateurs are encouraged to test their backup power equipment wherever possible. · Having mobile “roving” Amateurs wherever possible. · Practice sending many test NTS messages. · Practice sending many test tactical messages. · Practice sending traffic between the ARES members within each ARES team. 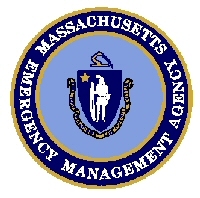 · Practice sending traffic between EOC’s within the Eastern Massachusetts section. · Practice sending traffic to the Western Massachusetts section ARES/RACES/SKYWARN personnel where appropriate. · Assure MARS Liaisons have a way to gather ARES reports to formulate into EEI’s (Essential Elements of Information). All communications options should be utilized. EC’s may throw in “failures” to test out “failover” of communications wherever possible as long as they are properly communicated up and down the ARES leadership. Many messages of both a tactical and NTS formal nature should be sent within the teams participating, between teams and between districts wherever possible. Frequent usage of the phrase “This is a Drill” should be incorporated with any messages, traffic or announcements relating to the drill. There will be various city/town EOC’s, Red Cross Chapters and simulated EOC’s participating in the exercise. If enough of them become known, the document will be updated to provide a short listing. The town of Bridgewater EOC will serve as an ARES Command Center as done in previous drills and exercises as well as real events. The EOC will monitor several 2 Meter frequencies, 6 Meter Mount Wachusett and possibly HF. They will act as a key control point in the drill. We encourage home stations across the Eastern Massachusetts section to monitor and check into nets across Eastern Massachusetts district for ARES assistance. Some home stations can act as “simulated EOC’s” or net controls where appropriate. We encourage stations to generate tactical message traffic and formal message traffic for ARES where possible. Mobile stations are encouraged to participate utilizing all modes at their disposal and can be utilized as roving stations and can report conditions that they might see if a real hurricane is occurring from their mobile station. We encourage stations to generate tactical message traffic for SKYWARN and formal message traffic for ARES where possible. SET drills will be taking place in New Hampshire, Vermont and Western Massachusetts. Western Massachusetts may communicate information from a SKYWARN perspective in their drill scenario through EchoLink/IRLP and HF. Amateurs from Rhode Island may participate directly in our exercise as well and we will include them in the operation. Those wishing to attempt to make contact on the New Hampshire exercise can try 147.42 simplex as New Hampshire is conducting their drill entirely on simplex. It is noted that IRLP and EchoLink nodes maybe connected either to the *NEW-ENG* Conference node or IRLP Reflector 9058. This will again serve as a command net for communications within the Eastern Massachusetts ARES section and for stations outside the section that wish to participate. Individual Hams are welcome to listen and if they have no other means to pass their information, they can pass it over this system as needed.